1. Booking fee: When you feel that you are seriously interested and decided to get puppy from Zlatna sapa kennel you send 300 euros to our bank account or via Western Union. When I got it I contact you immediately and ask for your full information /adress, mobile phone, color and gender, then send to you confirmation of booking and we stay in touch. You will be updated when the girl is mated, after ultrasound, of course birth /usually with pictures/ and you know in what order you are able to choose. All our puppies have FCI export pedigree. We are breeding mentally and physically stable puppies with beautiful typical type and balanced structure under maintaining his original working ability. We have two or three litters every year and every breeding means an improving of the breed to us and all our breeding programs are premised on the basis of this. 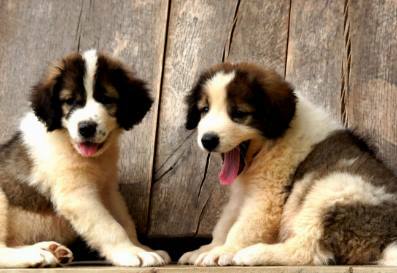 Puppies are sold with FCI PEDIGREE. They are ready to leave when they are at least two and half to three months of age. Until that, I have enough time to evaluate each and every puppy and show puppies can not be selected before they are 8 weeks old. We do keep a waiting list, and most of our puppies are placed well before a litter is born. We accept deposit to hold puppy and litters will be posted here. We ship by air internationally or we can bring you a puppy personally. You are also invited to visit us whenever you want. If you are seriously intesested in one of our dogs, please tell me a little more about yourself (where do you live, do you have time and enough place for a puppy...) . We normally do not reply to messages or e-mails from anonymous addresses or from people who do not identify themselves or seem to be irresponsable.